While most mobile phone companies boast about their new camera functions – of high resolution, multiple filters, different capturing modes and so on, what else is there to say that will stimulate a new imagination in mobile photography and curiosity in participating in photojournalism? In early April 2017, Apple announced plans to start offering educational classes and workshops titled ‘Today at Apple’ at all of its 495 stores around the world; the company has even launched a specific new website to allow their customers to sign up for the sessions. This new campaign was officially announced at their recent press conference and today there are classes being offered each day across all the apple retail stores worldwide. ‘go deeper into the craft of photography and experiment with new techniques and styles taught by talented photographers. Bring your iPhone and uncover a new point of view in these hands-on sessions’. One of the most attracting features of iPhone is in fact its camera, which can arguably be considered as the best mobile phone for photography nowadays. The photography classes offered by ‘Today at Apple’ in some way, are useful for those who enjoy the camera function that their latest iPhone offers. What is missing in these classes however, apart from teaching their users how to create a visually striking photograph (in order to gain more attention on social media as one of its core motivation), is the education of the enormous social responsibility that a mobile camera carries. What else can we take photos of apart from a glamorous portrait that mimics the style of a celebrity in fashion magazines, the fun time we have at cultural events with friends, the fabulous cuisine that you have cooked and captured for your Instagram profile, or an ultimate selfie? Are the improving mobile phone functions only there to serve us to orchestrate our brilliant selves through daily social media profile updates? What about the world around us? Everyone has the right to capture, to record, and to leave a visual footprint in the digital archive. Perhaps Huawei can intervene and create an alternative landscape: to take up the inspiration from Apple and to transform these potential workshops and public education by focusing more on practicing social justice. Since its inception, the business strategy of Huawei has already been fundamentally different from Apple. While Apple’s target customers are the neoliberal cultured middle classes, Huawei has its eyes in an entirely different world. ‘Communications for All’ is the company’s ethos. 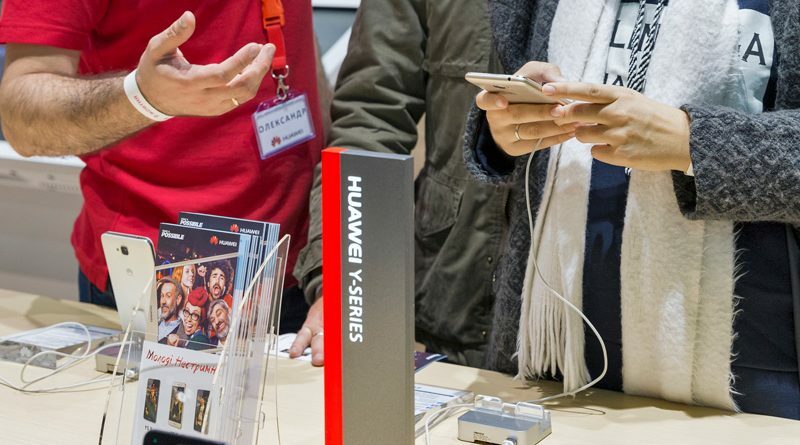 Rather than focusing on an elite group of customers like Apple, Huawei continues to deploy different communication technologies in remote regions that were connected for the first time. This communication revolution is indeed significant and meaningful to many who perhaps never had a smartphone before. One of the areas that Huawei targets their mobile users is Africa. In article ‘What Huawei Has Done Right in Africa’, Wadeisor Rukato tells us, ‘in the 18 years since its entry into the region, Huawei now conducts activities in over 50 countries across Africa and is among the top three telecommunications companies with operations in the region’. There is no doubt, Huawei will soon be dominating the market in developing countries, a market that Apple was never interested in the first place. However, the revolution of ‘Communication for All’ can be pushed further, particularly through the function of Huawei’s mobile camera. Mobile photography has always been Huawei’s passion; this can be demonstrated through its partnership launched with the famous camera brand Leica. In 2016, Huawei and Leica camera together established a new research and innovation centre, the ‘Max Berek Innovation Lab’. In its press release, it states that, ‘the new lab will drive further development of optical systems and software-based technologies to improve imaging quality in a wide range of photographic and mobile device applications’ (Huawei, September 23, 2016). The latest Huawei smartphones all adapt a camera lens specifically designed by Leica which has been the camera choice for many famous journalists and photojournalists previously and present. What Huawei signed itself up for, therefore, is more than a camera technology collaboration, but also a long history of photojournalism that Leica cameras served in. Can Huawei and its smartphones continue Leica’s journalistic legacy? They certainly can. Since part of Huawei’s developmental strategy is to become the hub of communication for all developing countries, why can’t they also take this opportunity to launch photography workshops and classes in these countries? These classes, of course, will be different from Apple’s. In addition to what Apple offers in their ‘Today at Apple’, Huawei may introduce what Leica cameras have done in the history of journalism, the powerful images were captured by a Leica camera that shocked the world, the power of capturing, visual communication and visual literacy. If Huawei is set out to help to infrastructure communication system in developing countries, why don’t they push the revolution to full? Huawei is in a strong position not only to provide communication for all, but also to provide a chance and possibility for a communication of justice in these areas that injustice continues to remain. Too many parts of the world are not visually visible in our current digital archive, they deserve to exhibit and we deserve to see. Certainly, like Apple, Huawei also promotes its Leica camera in its own way. However, if the company can launch the Saatchi Gallery Selfie Award as a marketing strategy to advertise their smartphones, I am certain free photography classes in developing countries can easily be achieved. Capturing matters. *Disclosure statement: although the author has mentioned two commercial companies, she has no conflict of interest with neither of them.